Mollom is shutting down, what are the alternatives? Mollom has reached its End of Life. 2bits blogs about an alternative, antibot. The recommended alternative by Acquia is a combination of reCAPTCHA and Honeypot. But there is a problem with this combinationa: reCAPTCHA, like all modules that depend on the CAPTCHA module, disable the page cache for any form that has CAPTCHA enabled. Another alternative that we have been using that does not disable the page cache is antibot module. Mark Conroy discusses five modules you can use to fight spam: Captcha, Re-captcha, Mollom, Honeypot and Simple Anti-spam. 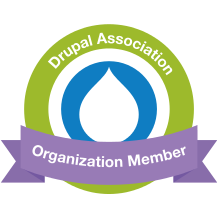 Using Drupal, there are a number of approaches to pulling the plug on spam. Let's look at them. In this tutorial you will learn about the Honeypot module. The Honeypot modules is a SPAM prevention module that uses a hidden form field to catch SPAM bots from posting onto your site. This tutorial shows you how to configure the module to work on various forms on your site. This module is indeed very useful to quickly stop certain spam, so you continue with more relevant work.